If Samsung didn't already have a scar on their face, it would appear they're moments away from possibly receiving another one. 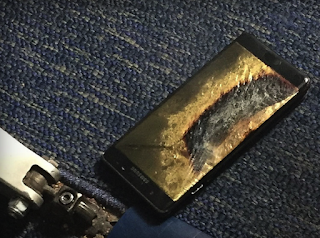 According to The Verge, A Southwest Airlines flight 944 from Louisville heading to Baltimore was evacuated because a Samsung Galaxy Note 7 device caught fire. Thankfully the flight had not yet departed, and the crew and passengers escaped without injury. This isn't the first time we've heard about incidents like this, however this particular incident is slightly different, and alarming. 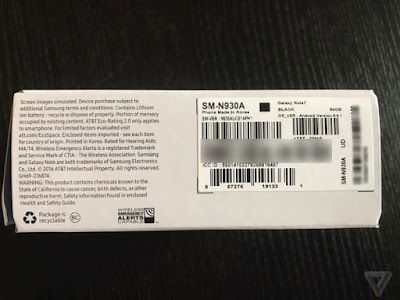 The Note 7 in question was a replacement device, for the previous recalled Note 7 devices that were experiencing the explosive behaviour. The label posted above with the black square indicated that it's "Safe" and an IMEI check proved as such. Of course this casts doubt on all the replaced Samsung Galaxy Note 7s out there, and begs multiple questions. Did Samsung actually fix the devices? Did they fix the right components malfunctioning? Do they even know what causes these melt downs? Is my new device really "Safe"? I feel bad for Samsung at this point, as I really thought this mess was behind them. Lets hope this was a rogue device, and Samsung's nightmare won't continue. Until then, All Note 7 owners can continue walking down the street, singing the Song from Dr.Dre, "My Shits the bomb, Xxplosive"